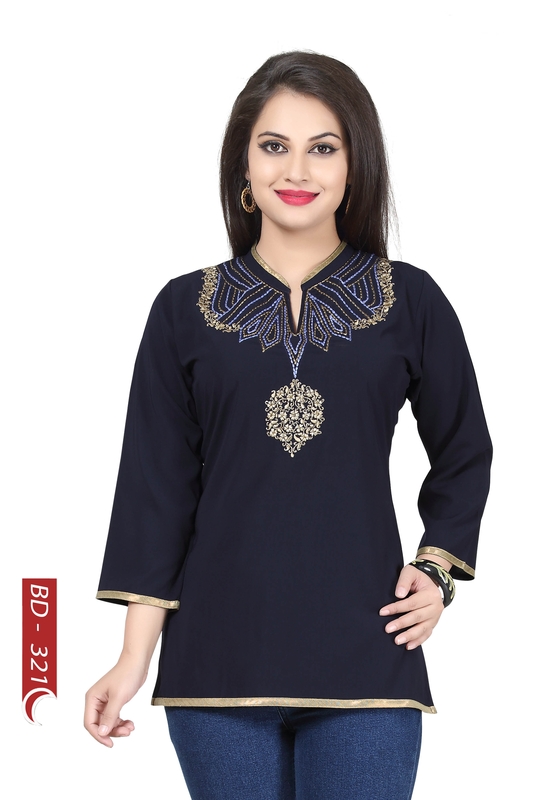 Enjoy your everyday work routine in enhanced style that this Beautifully Blackish Short Women’s Kurta with Embroidery provides. This Snehal Creation marvel is a new addition to a range of styles by the label and comes with a ban collar decorated with dull gold and lilac thread work all around it. 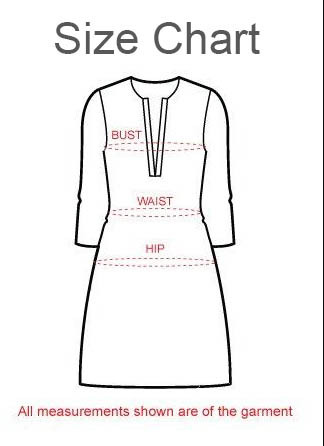 The short tunic top has been taped with dull gold ribbon at the hem of its front section and three fourth sleeves alike and looks understated, if anything.